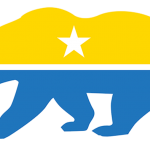 The California National Party was founded in 2015 to advocate purely for the people of California, without needing to compromise with far-off regions that share little of our culture and values. We are a diverse group representing a wide range of interests and beliefs, and so we have worked hard to craft a platform that reaches a broad consensus on a number of important issues. Our platform is divided into ten planks. Below is a brief summary of each, or you may view the full 2018 Platform here. You may also purchase the full platform in paperback or Kindle format on Amazon here.